On Saturday, “Hope Sze” successfully resuscitated “Elvis,” to great acclaim. Photo by Margaret Caldbick. 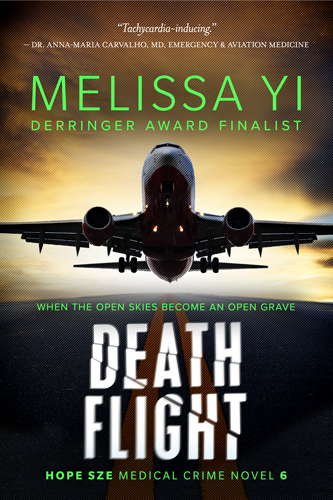 Wei Chen will interview me on CBC Radio’s Ontario Morning program tomorrow at about 8:22 a.m. So please tune in (there’s a live stream online here, on the right side bar) and/or Tweet @CBCOntmorning. 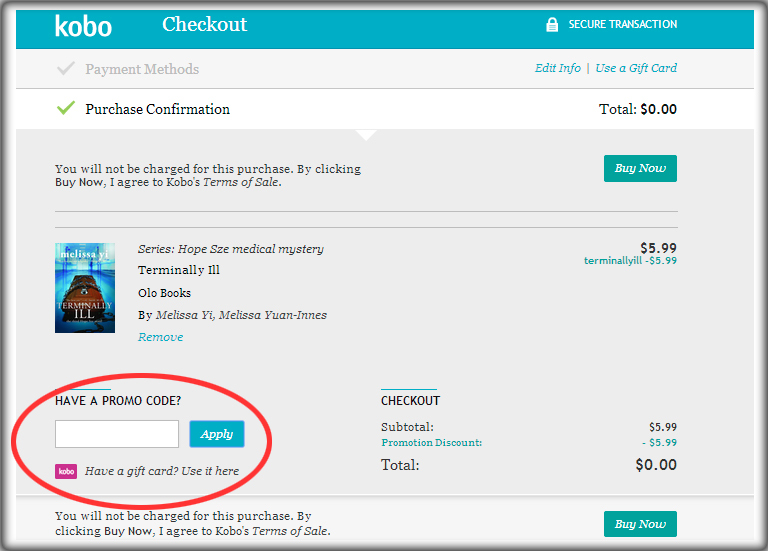 I’ll reveal a secret code for a free Kobo copy of the e-book! 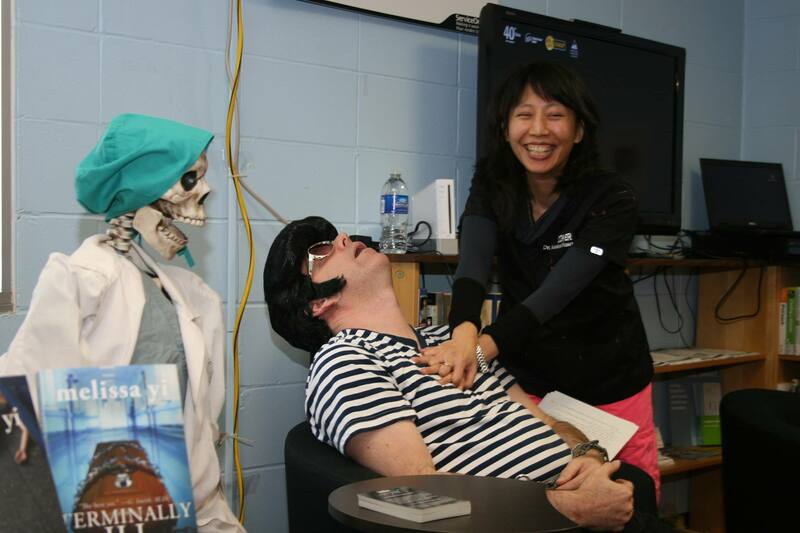 On Saturday, the escape artist, Elvis Serratore (Mark Leslie Lefebvre) was chained and nailed in a coffin and dropped in the St. Lawrence River, but Dr. Hope Sze (moi) brought him back. In other words, we acted out the opening scene of Terminally Ill for two appreciative audiences who fought through a blizzard to get there. Today, I struggled to write. Anastasia’s latest game is that I’m the baby and she’s the mommy, so I’m mostly supposed to lie down, cry, pretend to drink milk, and play with the toys she brings me. A little difficult to juggle my laptop at the same time. “You would be right!” I exclaimed. I asked how he’d found me. So, as part of this book launch, I’ve had one previous article in the Standard Freeholder, one in The Seaway Valley News, one in The Seeker, and fingers crossed that I’ll get a mention in the Glengarry News (their reporter, Margaret Caldbick, took the amazing photo above at the Alexandria book launch). But it took Todd Hambleton’s latest article to get the attention of the CBC. Just like in the publishing business, you’ve got to reach critical mass before you might catch someone’s eye. Or ear, as the case may be tomorrow, on CBC Radio’s Ontario Morning. Check us out!